Jo Bong-Hee's (Go Won-Hee) family falls into difficulties after the death of her father. She overcomes obstacles to become the best fashion designer in South Korea. 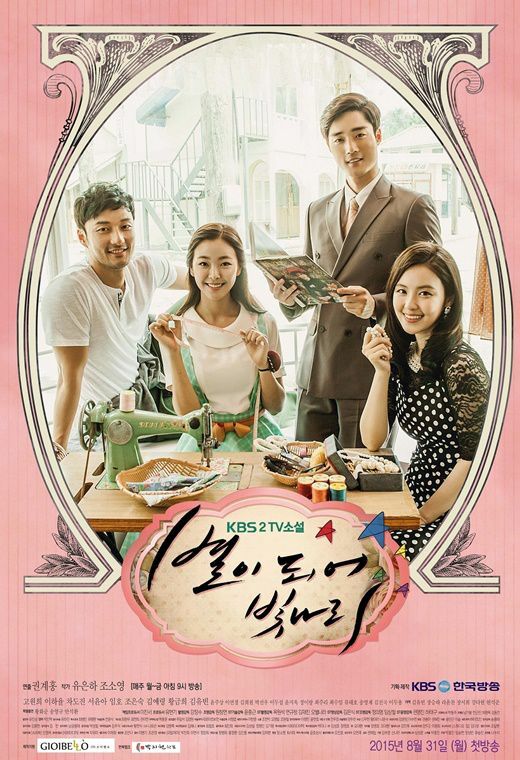 "The Stars Are Shining" takes over the KBS2 weekdays 09:00 time slot previously occupied by "In Still Green Days" and followed by "My Mind's Flower Rain" on February 29, 2016. First script reading took place on July 30, 2015 at KBS Annex Broadcasting Station in Yeouido, South Korea. The first script reading rehearsed ep.1-ep.10 which involves child actors and actresses playing the younger versions of the main characters. The lead actors and actress did not have to show up, but Lee Ha-Yul, Seo Yoon-A and Cha Do-Jin were in attendance. Faith Jul 29 2016 5:16 pm I love this drama. Sabedra May 04 2016 10:58 am i really enjoyed this drama , good actors , beautiful story , however the ending was a little disappointing , song gook had a firmer presence in the story than jong hyun and so i hoped till the end that bong hee would choose him but she didn't , aside from that the rest was pretty good for a period drama . laurel Nov 24 2015 2:04 am who sings ?